1:12 AM low 0.3 ft.
6:57 AM high 0.4 ft.
1:31 PM low 0.3 ft.
6:06 PM high 0.4 ft.
NOTICE: These raw data are derived from the Texas Coastal Ocean Observation Network (TCOON), a state-wide coastal observing system. How to reach: To reach the station from the interchange of Interstate 37 and State Highway 358 proceed 7.2 km (4.5 mi) east, merge onto US-181 toward TX-35/Portland for 2.7 km (1.7 mi), take the exit toward the Texas State Aquarium/USS Lexington for 0.3 km (0.2 mi), travel 0.08 mi (0.1 km) straight on Seagull Boulevard, veer right onto Burleson Street, drive 0.1 km (0.07 mi) on Burleson Street to the intersection with Timon Boulevard, turn right onto Timon Boulevard and travel 0.6 km (0.38 mi) until it merges with Surfside Boulevard, proceed on Surfside Boulevard for 0.3 km (0.17 mi), turn left onto Pearl Avenue, drive 0.1 km (0.06 mi) then turn right onto North Shoreline Boulevard. The bench marks are located on the walk ramp leading to the USS Lexington and along Pearl Avenue and North Shoreline Boulevard near the Texas State Aquarium. 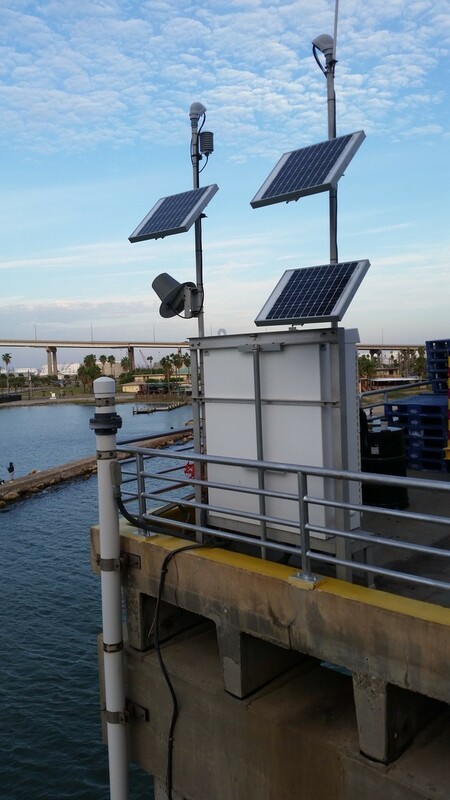 The station is located on the concrete pier leading up to the USS Lexington Museum on North Shoreline Boulevard.